Ability Text: Firemind Vessel enters the battlefield tapped. T: Add two mana of different colors. 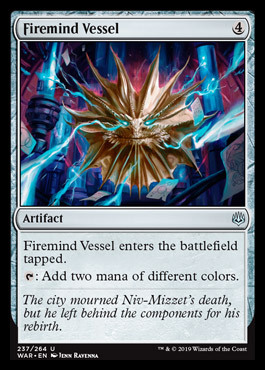 Flavor Text: The city mourned Niv-Mizzet's death, but he left behind the components for his rebirth.